Instantly add an incandescent glow anywhere you want shimmer! The Milani Stellar Lights Highlighter Palette features a complementary trio of micro-milled, buildable powders that blend seamlessly and leaves a luminous finish. Each richly pigmented shade delivers multi-dimensional highlighting effects, and can be worn alone or together for multiple, the-way-you-like-it, customized looks. Explore the entire range of Highlighters available on Nykaa. 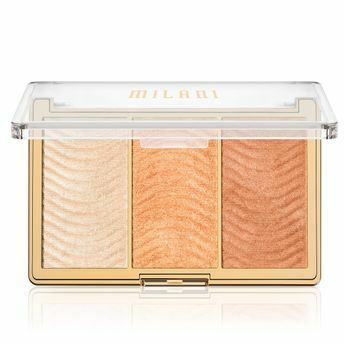 Shop more Milani products here.You can browse through the complete world of Milani Highlighters .